Love Wordpress and wanna show it? 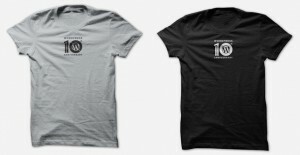 Get your Wordpress 10th anniversary tee and show it off in style. The t-shirts are available from Wordpress.org's swag store for $10 for a limited time.